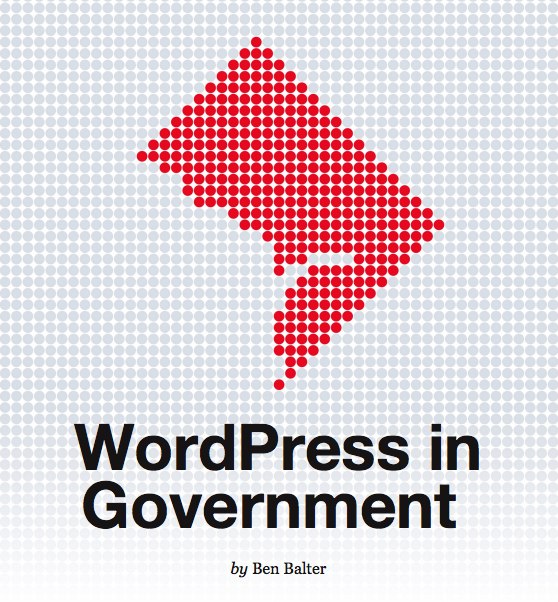 WordPress’s disproportionately low government adoption is arguably the result of a handful of factors. For one, custom post types, the feature that formally graduated WordPress from a mere blogging platform into a full-fledged content management system has only been around since June of last year. Yet, even among new sites, the ratio remains somewhat stagnant, if not shrinking, leaving one to believe that the technology has lapped its own already stellar perception. Among those empowered to make purchasing decisions, there seems to be a sense that WordPress is what you use on the weekends to post pictures of your lunch while Drupal is what you use for “serious” business, and with good reason. For better or for worse, Drupal has positioned itself as not just a CMS, but rather the enterprise solution — an inseparable fifth layer of the increasingly ubiquitous enterprise LAMPD stack. I commented on the original post, but wanted to add here that I don’t think it’s a problem of perception. WordPress is a fantastic blog, but it doesn’t do what Joomla, Plone, Drupal or the proprietary counterparts can do…yet. But Drupal couldn’t either, 3 years ago. Ease of use of WordPress is fantastic. And for blogging, it does really amazing sites, Just look at the stuff being done in Latin American governments with WordPress, it can totally do awesome things. But behind the scenes other things are often going on. From workflows (which are antiquated and ridiculous) to security (Drupal gets the same bad rap as wordpress, don’t think this doesn’t come up all the time) to scalability (with Drupal, all we have to do is point to the Grammys for sites that perform even when they’re multi-site). It’s a difficult, uphill, ridiculously long road to walk when you start trying to help an agency see open source as a possible solution. But Drupal isn’t singled out as a solution at the beginning for most of the agencies that I’ve talked to and helped with their research, they know they want to look at multiple solutions and often find that Drupal meets their needs, sometimes, Drupal doesn’t (yes, I know of agencies who’ve decided against). Thanks for taking the time to comment — really insightful. Workflows I’ll give you. Having used both WordPress and Drupal extensively, I have to say it’s one of my biggest frustrations personally. Would love to hear specifics if you have any. Feel free to drop me a line. I’m actually hoping to spend the summer improving just that. Have you taken a look at edit flow at all? As for scalability, not sure I follow. WordPress.com handles nearly a billion page views each week. Would love to hear more specific pain points / examples. It sounds to me, based on what you’re saying that there is, at the very least, an underlying perception problem that either exacerbates or emphasizes existing concerns? We’re big fans of the Open Source CFML CMS http://getmura.com/. It’s not Drupal or WordPress of course. But it met all our intranet requirements and lets us leverage our CFML chops. We evaluated Drupal, Joomla, and WordPress when deciding on an open source platform for building the best city websites. Although WordPress offered some specific ease of use benefits for building simple blog-like sites, we quickly discovered that Drupal offered the strongest combination of functionality, flexibility, and an active open source development community. Drupal proved to be the only viable option for building feature-rich, secure local government solutions that could compete with larger, more established proprietary CMS platforms. @Brian, Interesting. Would love to hear more about specific pain/decision points if you have any. I have to click twice to read the whole article and then find out I can’t, it’s behind a paywall? Am I missing something? What I am most interested in right now is the enterprise support options. 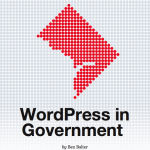 What are other government agencies using WP tuning, DB optimization, and troubleshooting? 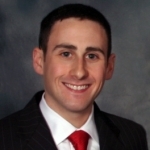 Sure thing @Ben, I’d be happy to elaborate.. We needed to build a local government website that provide a city-wide view of content while also allowing each department or group to have its own micro-site (site-within-a-site). With Drupal we were able to build a robust role-based solution that allows each department to control their own home page, menu, web pages, calendars, blog posts, photo album slide shows, etc. while at the same time preventing that department from editing another department’s content. Drupal allowed us to accomplish this and a great deal more. We we able to find 90% of the functionality we needed out-of-the-box with Drupal contributed modules. Our pain point with WordPress was simply a lack of add-ons to handle the more complex role-based authoring requirements. To be fair, WordPress might be much more functional now than it was when we had to make this decision (2008). The initial pain point with Drupal was its ease of use compared to WordPress. Fortunately, in the same way that WordPress has increased its functionality to be more than just a blogging platform, Drupal has made significant strides in the area of ease-of-use. @Brian, very insightful — thank you. WordPress gained “multisite” support about 3 major versions ago, which sounds like it’s exactly what you’re describing below, but yeesh, yes, in 2008, would have been scared to have tackled a project like that using WordPress! The needs of content contributors, i.e., the web writers and editors, need to be considered more in the CMS selection process. Our needs for an easy to use CMS are frequently an afterthought in the rush to implement something that’s secure and scaleable. I’ve worked as a contract web editor and have used Dreamweaver, Plone, Zope, Homesite, OpenText, Percussion, Drupal and WordPress. Just about every CMS out there and WordPress is the easiest to use. I’ve trained people in how to create pages and blog posts in minutes. Why do you want an easy to use CMS? Because then you will get more and better content for your site. But if your CMS is difficult and complicated then contributors will only use it when they absolutely have to. Your site will grow outdated, because people will avoid the “chore” of updating the site. A good CMS shouldn’t require browser plug-ins or special flavors of Java or only work on PCs or require a week-long training course. It should as simple as the GovLoop blogging system, frankly! Look at all the great content you get on GL – that’s why easy of use is so important in CMS selection. A sampling of sites we’re running on WordPress (and more in the works): library.arlingtonva.us, columbiapikeva.us, freshaireva.us, arlingtonplace.us. I’m not sure why this has to be an either/or argument. I use Drupal AND WordPress AND TikiWiki for my personal site and have helped others set up sites that use both Drupal and WordPress. I got into Drupal, WordPress, and phpBB because of Douglas, Little, and Smith’s excellent book on using the three tools together to build online communities. It’s the platform and not the individual software that makes your online presence successful. That’s the beauty of open source; I can mix-and-match software to fit virtually use case I have. Hear Hear Bill! I agree that Drupal and WordPress are both great open source tools and there are many more excellent open source tools out there. It should not be an either/or argument. It makes sense to use what’s best given each organization’s unique requirements. We use Drupal for city websites that we build since it works so well for us, but there are certainly many other cases (as you point out) where other options, or combinations of multiple platforms, make best sense. WordPress with the Catalyst theme framework makes the best coded, best featured, easiest to manage websites I’ve ever seen hands down. I will use nothing else, and I’ve used everything out there. This post has a “continue reading” link which takes me to the article on the author’s personal site, but that article is “an excerpt of an article originally printed in the March, 2012 issue of The WPCandy Quarterly. Continue Reading.” The Continue Reading link takes me to the site of the print-only(?) WPCandy Quarterly magazine. No opportunity to keep reading on the web. The excerpt says there are small steps to take, then there is one numbered paragraph, and that’s it – it doesn’t address the other ‘typical enterprise misconceptions,’ which is what I am interested in. So….anyone care to tackle the “There’s no enterprise support” misconception in these comments? Thanks in advance! While I know many who love it, Drupal seems oddly organized and overly complicated. In contrast, WordPress feels intuitive, easy to use, and as robust as needed. @Katie, sorry for the confusion there. Honestly. The article was originally published in a print publication from which I put a small excerpt on my site, which I thought got some of the main points across. Much of what is in the rest of the article is oddly in the comments here, and on the original post, but to paraphrase, (2) building a stronger pro-government user community to serve as a resource for training/learning, (3) Outreach and education as to (new-ish) CMS capabilities (see the thread below as to why), (4) Continuing to build more “serious” features into core, etc. As someone mentioned below, it’s not necessarily a Drupal (or Liferay or whatever) versus WordPress thing. Any open source is a good thing. I myself am a government Drupal user. Mainly set out to look at WordPress’s lack of adoption, and try to ferret out why (and how to improve). Decision lag combined WordPress’s lack of custom post type support 3 or 4 major versions ago seem to be the biggest culprits. Either way, thanks for taking the time to read/comment and feel free to contact me and I can try to send the rest of the post your way. I’m a big fan of Joomla! which approaches Drupal in providing a high level of functionality and control while coming in a lot closer to WordPress in terms of technical costs / expertise for running the site. As a follow-up on my posting about integration – introducing Collabograte.Notice that WordPress is part of the package.